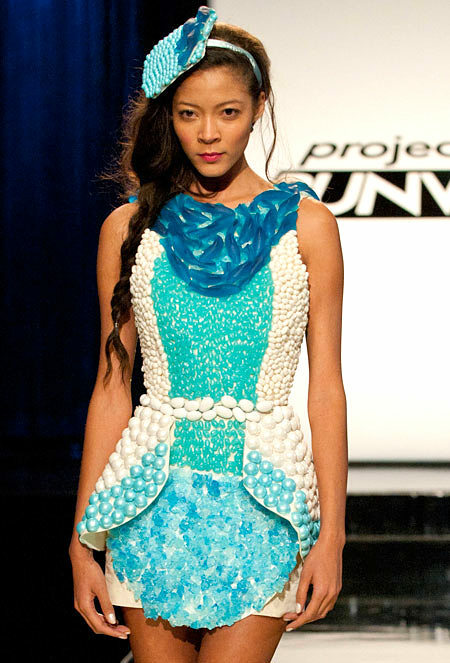 Project Runway…is it too soon to give it a “like”? 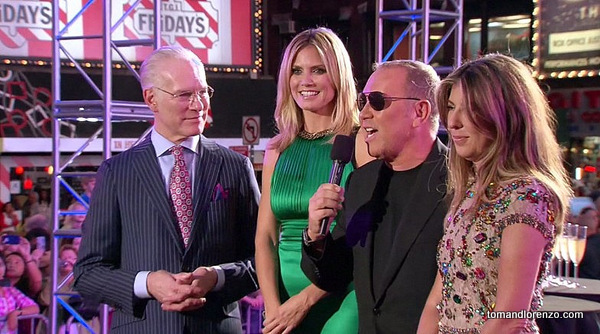 Can you believe that this is the 10th season of Project Runway? Heidi looks great. Tim’s sideburns are longer. Nina is as beautiful and critical as ever. Michael is on fire with his comments. I am very happy to report that so far I have appreciated the challenges. We watched the first show together. Brief review-the contestants presented an outfit the made at home that showed their “design aesthetic.” The first challenge was to make a companion outfit. The Good Twin won. This week was the non-conventional challenge. This is Heidi’s favorite, mine as well. Nina named it perfectly, Candy Couture. Ven and Blue Hair are the two to watch. Ven was the designer who made the stunning rose top last week. He stuck with the flower theme for this pretty, flattering dress. I guess Blue Hair also likes blue clothes and blue candy. A little too much blue for me. I’m thinking she had the model wear a facinator in honor of the London Olympics. Dimitri had my favorite dress. I think he should have been in the top 3. I guess he missed out because the top was made of fabric. Wouldn’t this be fun to wear? I’m happy to report that there seems to be some talented designers on the show this season. Of course, there are some fun characters on the show. The are the Good and Evil Twins, Elena who refuses to use color, The Professor, who either did or didn’t listen to Tim’s assessment of her outfit. I think I should start a pool to see when the judges get tired of Kooky Koonan and vote him off.